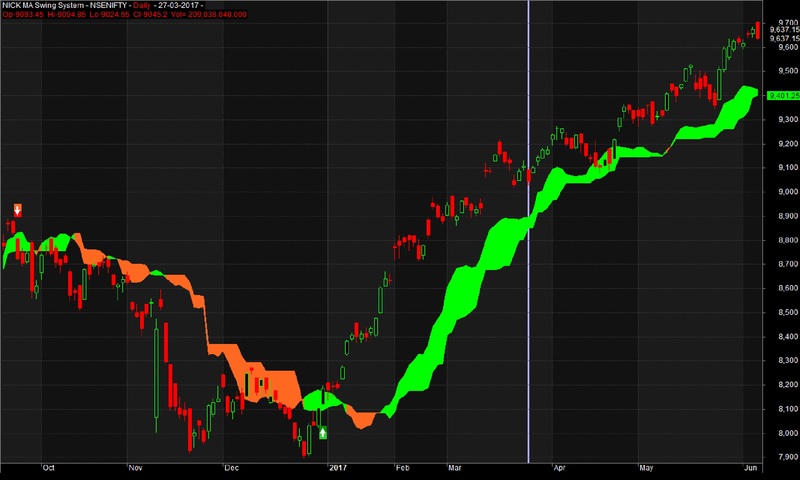 ‘Ichimoku Cloud‘ is an all in one indicator in Technical Analysis which shows support/resistance, trend direction and momentum in the same chart. Ichimoku setup has 5 different elements which indicates different things. Goichi Hosoda, a Japanese journalist, who invented Ichimoku spent more than a decade to make it real perfect. This indicator is now considered as one of the most reliable setup in any technical chart. It is also known as “Ichimoku Kinko Hyo“, which translates into “one look equilibrium chart”. Let’s understand its 5 basic elements and explore Ichimoku Trading system AFL code. Below is the Ichimoku AFL code which is actually a complete trading system in itself. It plots Ichimoku cloud as well as Buy/Sell signals in the chart. When the price is above cloud it indicates uptrend and the cloud color is green, while when the price is below cloud it indicates downtrend and cloud color is red. Few of the standard Ichimoku parameters are modified to avoid whipsaws. Hi. What is condition to go long/short & to cover it? Is price goes above cloud or chuki also? And to cover, should span crossover? Kindly enlighten.